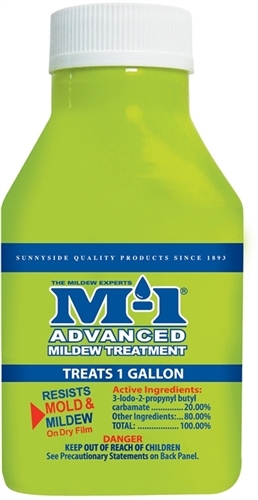 M-1 Advanced Mildew Treatment - Resists Mold Mildew Algae on dry film. 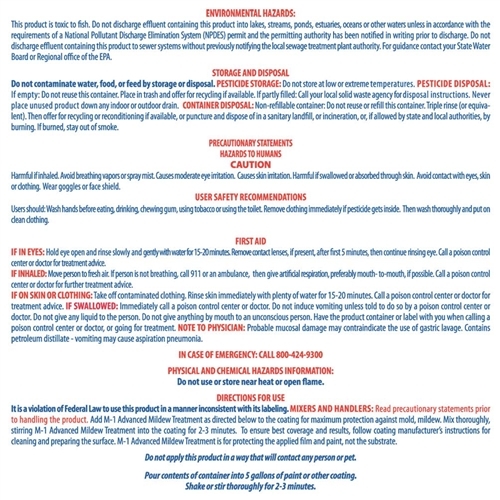 For use in all interior/exterior water based products, oil & solvent based paints, stains, coatings and adhesives. No Odor/Low VOC. Simply mix this full bottle into any one gallon size of Heritage Natural Finishes products, shake/mix well and apply as normal.